CAIS will deliver new training on the dangers of excess drinking for people arrested for alcohol-related crime. We’re working with leading learning and development firm TTC and police to offer effective interventions for first-time offenders who commit low-level crimes while under the influence. The new scheme, similar to speed awareness courses for drivers, will see some offenders given the option to pay £46.50 for a two-hour educational session, as opposed to a criminal record and a fine. Attendees will be taught about the long-term effects of excessive alcohol consumption, and how to avoid behaviour that is likely to get them on the wrong side of the law. The course is aimed at cutting reoffending and breaking the cycle at the start, by focusing on the effects of excessive drinking not just on the individual but on their family, friends and the local community. The Alcohol Diversion Scheme was launched by Gwent Police, and is expected to be rolled out across Wales in the coming months. 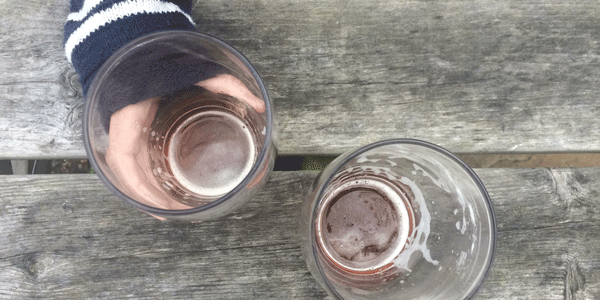 Chief executive Clive Wolfendale said the diversion scheme presented a great opportunity to change behaviour towards the “massive problem” of excessive drinking in Wales. “The fact is that there are too many people going through the criminal justice system who are simply abusing drink – so this scheme represents an opportunity to put an intervention in place which will dissuade people from repeatedly drinking too much and thereby causing a nuisance,” he said. “It affords an opportunity for people, at a very early stage, to confront the dangers of drinking both for themselves and for others. The courses are already on offer in the Cumbria and West Mercia police force areas. Those who choose to attend will not show up on criminal checks – but will not be offered the course again if they go on to reoffend. Chief Inspector Richard Blakemore of Gwent Police said: “The Alcohol Diversion Project is a key aspect of the wider strategy which will help us tackle alcohol problems within Gwent. The focus of this initiative is education. Police and Crime Commissioner for Gwent Jeff Cuthbert said: “Crime as a result of alcohol, no matter how minor, can significantly impact upon not just an individual’s life, but the lives of many in the local community. TTC director of client services Sharon Haynes said the course had been designed to help ensure people did not “continue to make the same mistakes”. “Many people will never have been in trouble before so, working with the police forces, we want to look at how we can educate them to make sure they don’t reoffend,” she said.